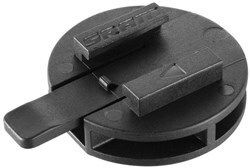 The new SRAM QuickView Computer Mount Adaptor features a slide interface on one side, and a quarter-turn twist on the other, to conveniently attach a Garmin Edge 605 or 705 computer to any SRAM QuickView Computer Mount. Easy to install, light, secure and durable. The all-new SRAM Quickview Adaptor makes slick work of attaching your sliding head unit interface to any of SRAMs quarter-turn Quickview Mounts. 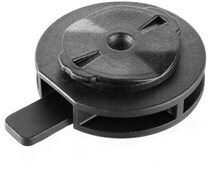 Bought this to make a mount for my phone. 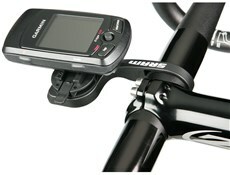 Google "Phone Mount trainerroad" for instructions. Really quick delivery and great to get free P&P on such a cheap part. this does the job. 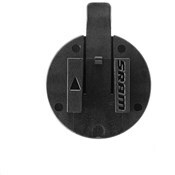 Good secure fit, no issues whatsoever, easy to slide my Garmin 705 on and off. Works perfectly with an out-front bar fitting. Just what I needed. This item met all my expectations and works perfectly. Also Tredz had the cheapest price online really quick delivery and free haribo! BOOM! Bought this to make a cheap mount kit for my phone. I just cut off the computer mount bit leaving the 14 turn lock and used a heavy duty sticky pad to stick it to my jelly phone case. Try it and save £30 over a dedicated mount.